A mysterious man claiming to be Liz’s real father targets her, but first she must resolve the mystery of her lost childhood and reconcile her true identity with the elusive memories corrupted by Reddington. Without the truth, every day holds more danger for herself, her baby and her husband Tom. Meanwhile, the Task Force reels from Liz’s resurrection and friendships are fractured. 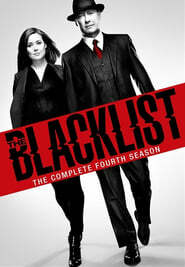 Betrayed by those closest to him, Reddington’s specific moral code demands justice, all the while battling an army of new and unexpected blacklisters. Temporada 1 22 Ep.Temporada 2 22 Ep.Temporada 3 23 Ep.Temporada 4 22 Ep.Temporada 5 22 Ep.Temporada 6 5 Ep.